Kids are just fascinating. Not one is alike. Throughout my teaching career, I’ve come to know one thing – I’m always needing to adjust my teaching methods. 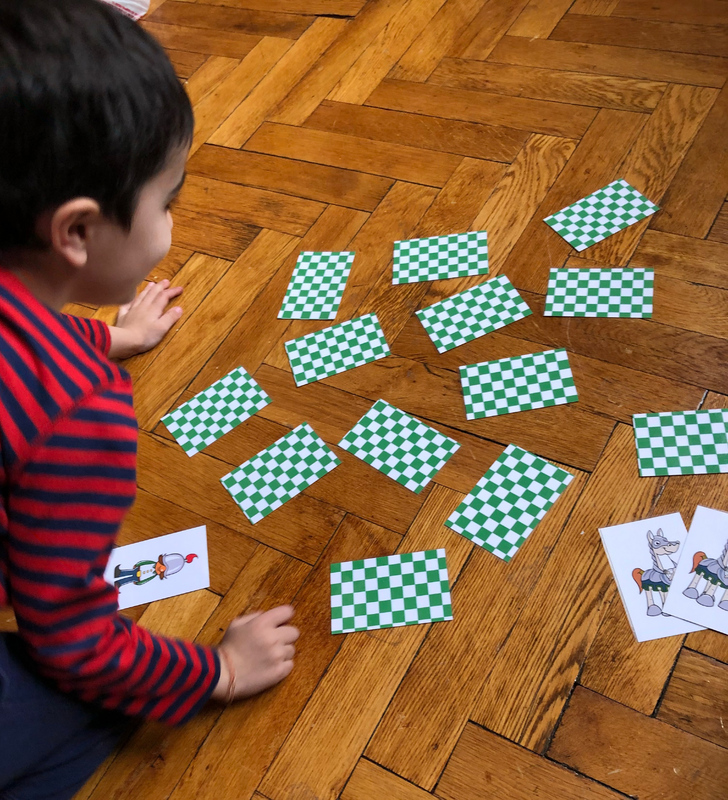 One thing I was noticing as I began teaching with Chess at Three was how differently a kid who is three-years-old learns from a kid who is four. One year can make a big difference. I’ve also noticed that attention spans have quite a short shelf life these days. Chess can be a really challenging game to understand and hold focus for little brains! I was finding that my students were interested in the game, but just couldn’t focus for long periods of time. At first, admittedly, I was more prone to give them ultimatums or “if you do this one last exercise, I give you an extra goldfish cracker!” But boy, I just kept hitting a wall. I finally started to realize, it’s too much to fight this over and over. This is a game! It’s supposed to be fun! Something needed to change in my teaching style. 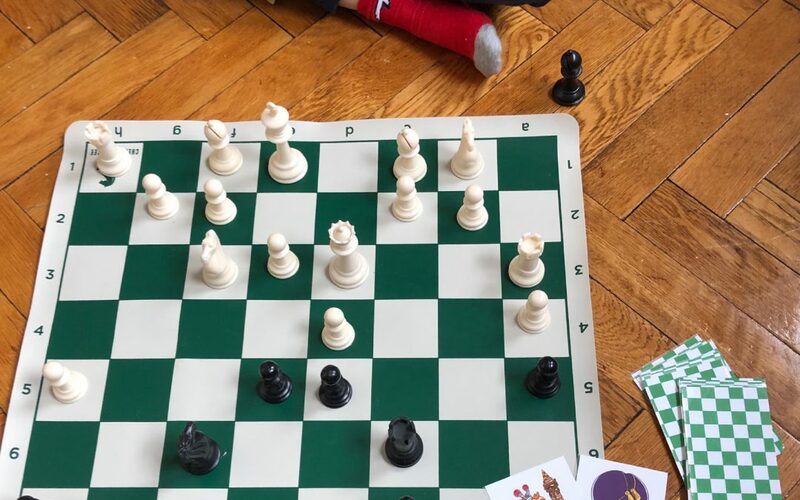 So, I decided to give my kids “breaks.” What I mean by “breaks” is that we would break from learning the game to play something else (but secretly, they were still learning and improving their game.) It’s kind of like when a mom hides vegetables in the tasty foods to get the kids to eat their greens! So, I began coming up with other games that would build off of learning the game pieces, or games that challenged their critical thinking skills. Here was an example. One day, I was having a tough time with this sweet little four-year-old. She was curious about the game, but all she wanted to do was talk about princesses and sing Frozen’s “Let It Go.” I asked her if there were other games she liked to play and she said Memory. Then I got an idea. The next week, I took the cartoon pictures of Chess at Three pieces, printed them, and made them all into cards to play the game of Memory. For example, they would have to match a bishop with a bishop, or a rook with a rook. For the little kids’ rules, once they found a match, they had to demonstrate themselves how that piece moves on the board. This not only sharpened their memory skills, but it got them up on their legs and moving! For the older kids, Memory Chess has quite a different set of rules. The rules were for however many matches you made, those were the ONLY pieces you could start with for the chess game. So, the older kids would try their hardest to get as many matches as the could so they would have as many pieces as the could for the game. A bonus rule is, if you match King Chomper and King Shaky, that person could pick whatever piece they wanted that they didn’t already have as a match to add to their team. The older kids went bonkers for this. Not only did it make for an exciting twist to their game, but it challenged them in their strategy using limited players at the start. Getting creative with ways of introducing the curriculum started becoming really fun. But I also noticed something that was an incredibly pleasant surprise. Giving my kids breaks, or breaking up the curriculum into different kinds of segments allowed my students to retain more, and much more quickly. They were far less frustrated, more focused, more engaged, and behavioral problems decreased. My take away? Well, I learned as a tutor, sometimes you have to look at learning from a different angle – or rather, a kid’s eye view. When you find a match, you have to demonstrate how that piece moves! If you find a match for example, a rook, you can put 2 rooks on your team. If you find a match for the pawns, you can put 2 pawns on the board. If you find multiple matches of pawns (like 2 pairs) you can put 4 pawns on the board wherever you want. If someone finds the two kings, they get to pick ANY piece that they didn’t find a match for, and put it on their team. *Also tip – I don’t use both black and white cards, just white – (although there are both on the templates) I use all the King Chomper cards, King Shaky (to match King Chomper), and Queen Allegra (to match Queen Bella) – It gets confusing using them all.